Everyone at AHRC Nassau shares the same mission – empowering people to live fulfilling lives. We also enjoy what we do! As a part of our team, you will join a community of 3,100 professionals working together to create the best opportunities for people with intellectual and developmental disabilities. We value integrity, creative thinking and personal development. We want you to fulfill your potential. Our competitive employee benefits package, from full medical/dental/vision benefits to three-weeks vacation to tuition reimbursement, offers opportunities to achieve and exceed your goals. Our staff members also have unlimited potential for job growth and personal development. We are proud of our job network offering mobility, diversity and flexibility. WE HOPE TO WELCOME YOU TO OUR TEAM SOON! DSP Vanessa Wright supports a project at the Jericho Day Habilitation site. 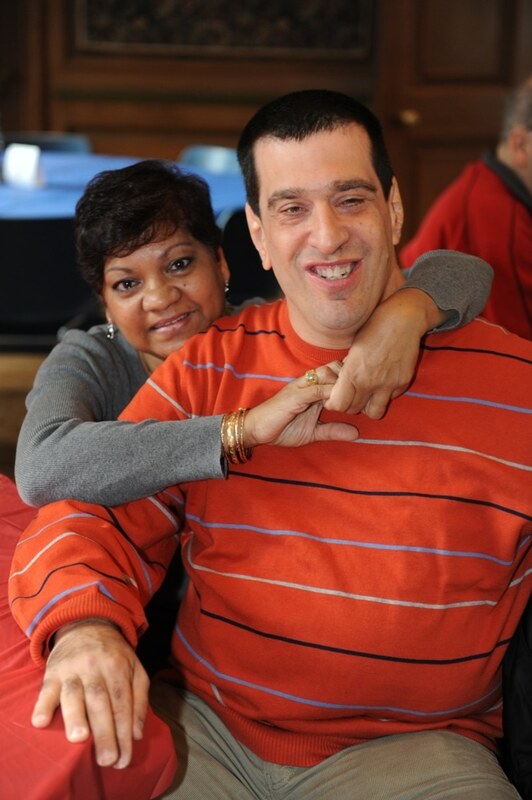 A DSP supports people with intellectual and developmental disabilities to lead safe, fulfilling lives. A DSP works with people to achieve everyday tasks, including socialization, safety, household chores and self-care routines. Immediate full- and part-time positions are available throughout Nassau County. 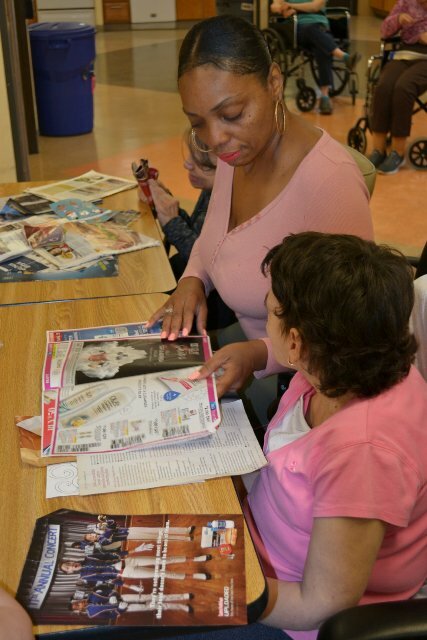 DSPs work in residences or day habilitation sites out in the community. -Valid and qualified New York State Driver’s License. -Excellent organizational, written and verbal skills. -Must be comfortable driving an agency vehicle throughout Long Island for certain positions. IN ADDITION TO MAKING A DIFFERENCE, WHAT ARE SOME OF THE EMPLOYEE BENEFITS FOR POSITIONS WITH 30 HOURS PER WEEK OR MORE? -Tuition Incentive – go to school for free! From the tuition reimbursement program to flexible work hours, AHRC Nassau offers the opportunity to turn a job into a career. 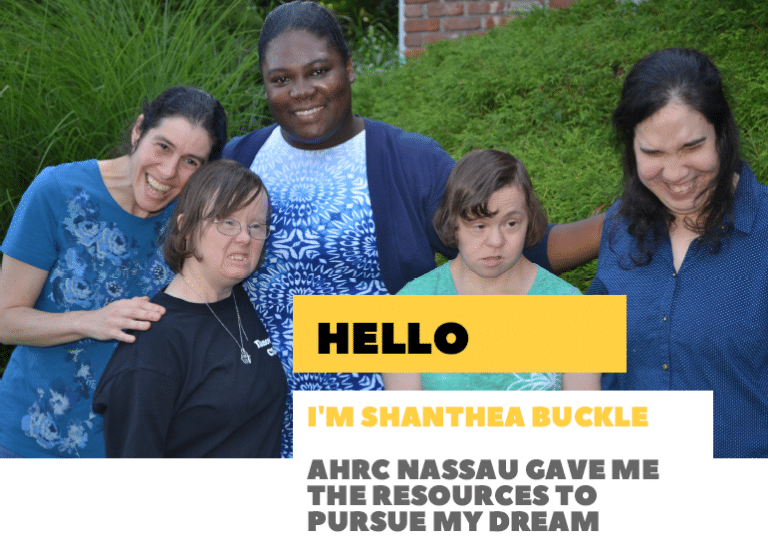 Meet team member, Shanthea Buckle, as she shares how she used AHRC Nassau benefits to pursue her professional goals. I was a teacher for special needs children, traveling to and from the city, when my mom, who works at AHRC Nassau, told me about an opportunity to work as a Direct Support Professional (DSP) with the possibility of advancing professionally. It was a great fit. I worked hard, received promotions, and was also able to pursue a Master’s Degree in Industrial/ Organizational Psychology, while working full time. I want to make a difference in the developmental disability field. I know from working as a DSP there is no limit to what the people I support can achieve and what I can achieve. I have been promoted to a House Manager and I hope to go even further in the organization. The more you learn, the higher the standards you have for yourself and for the people being supported. Every day I learn something meaningful. Working in an intimate environment as that of AHRC, you learn to be a better person. You become more patient and understanding, as you get a hands-on role in improving people’s lives. You will work with families, behaviorists, nurses, doctors, and other professionals. What you see and do directly impacts how people achieve their goals. My family knows and loves the ladies. You also become an extension of (or addition to) their family and this goes vice versa. When my mother comes to visit, they sometimes call out, “Hiiiiiiiiiiiiiii Mom!” and the same with my sister. It is important to do the little things that can make a difference in their day. For example, some Saturday mornings, we turn up the music as we make breakfast and dance around. It’s an extension to Wednesdays, when we push the coffee table to the other side of the living room and dance at the end of the day, throwing in some karaoke. It’s the little things that make an enormous difference. Like all of us, sometimes a person we take care of doesn’t want to go to work, but then maybe you’ll hand her a fan. And, with the adorable way she fans herself, this puts a smile on your face, as well. It’s the little joys and moments that you look forward to again and again that makes this career so rewarding.